I wrote an article about mammal migrations that was published back in 2016 that I had originally written as a paper for my undergrad mammalogy course. The great thing about an education is that is really challenges you to think about the subjects you’re studying in different ways. In this case, it got be thinking about some of the conservation challenges that aren’t automatically floating around in our brains. I’m going to include a little bit of information here from that paper regarding one of those species I’ve had the privilege to photograph: bison. North America is home to several of the remaining mass migrations, including that of caribou (Rangifer tarandus), elk (Cervus elaphus), bison (Bison bison), and pronghorn (Antilocapra americana) (Berger, 2004, p. 320; Harris, et al., 2009, p. 55). North American Bison undergo a significant annual migration, although 75% of their traditional migratory routes are now gone or imperiled. This is very important! It’s something I’m lucky enough to see first hand at Nachusa Grasslands because I only live about an hour away. 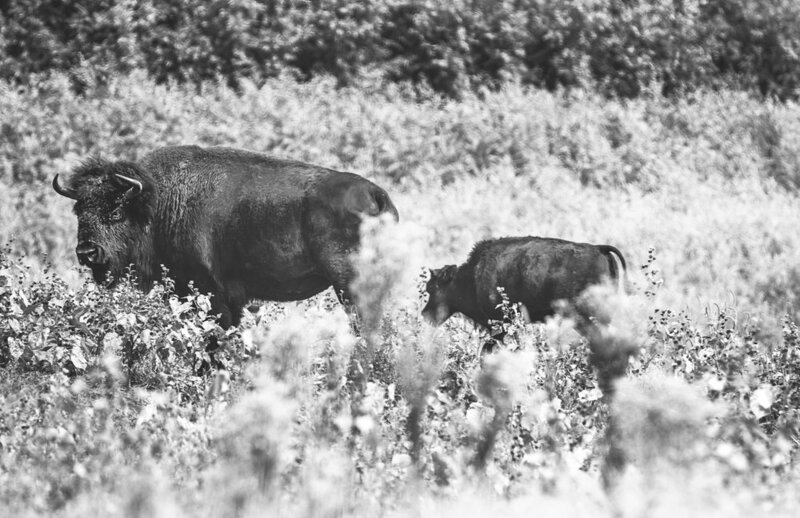 This amazing preserve has reintroduced bison to Illinois. And although they’re kept in (very large) corrals so they’re unable to migrate, the impact they’re having on the prairie is substantial. Researchers are learning a lot from their reintroduction! Click here to subscribe to my newsletter and stay in touch!